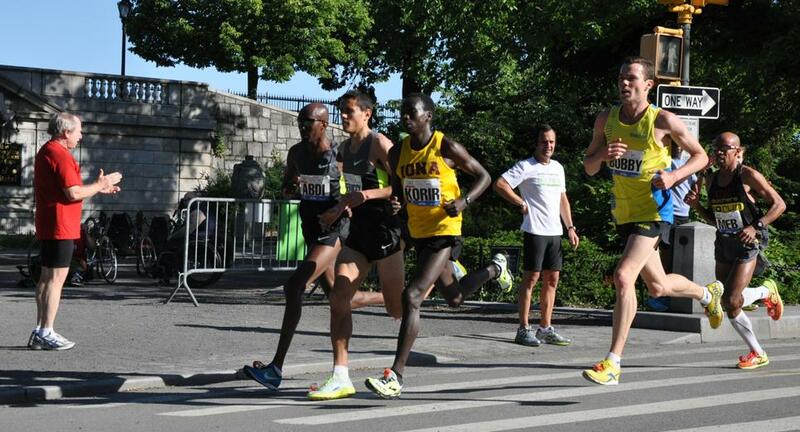 Bobby Curtis finished a strong 3rd at this morning's Healthy Kidney 10K in New York. He ran 28:36 (a full 33-second improvement over his 29:09 at this race last year), and only 9 seconds off the winner. This despite having to fight off a cramp in the 5th mile. The race represents a big breakthrough for Curtis in preparation for the US Olympic Trials, as he came home ahead of such name-brand competitors as Abdi Abdirahman, Meb Keflezighi, Ben St Lawrence, and Ryan Hall. With roughly five weeks standing between him and the Olympic trials, Curtis said he ran the race to test his fitness, and was pleased overall with his 28:37. 'I had a rough patch after the hills around mile four... I probably slowed down significantly for 1 or 2 minutes and then it went away and I was able to start catching up." As a point of reference, the fastest time on Central Park's 10k course by an American is Dathan Ritzenhein's 28:08 that won the 2007 edition of the UAE Healthy Kidney race. To secure 3rd, Curtis edged the leader for most of the race Tesfaye Girma. The photos below are from immediately after the finish.